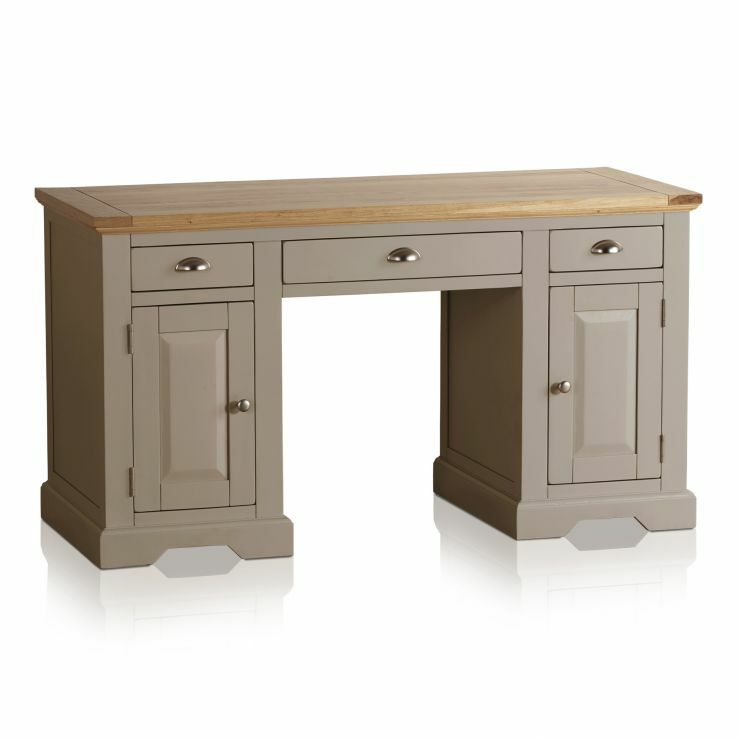 A traditionally shaped desk with the light grey painted finish that gives a modern touch. 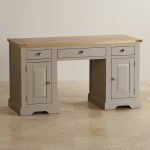 The top is natural, which gives complements the base, and the bright silver-coloured metal handles complete the chic look. 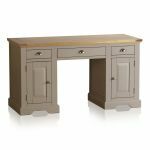 The St Ives desk will be ideal in your home office or study. 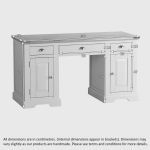 Two shelved cupboards sit either side of a central drawer. Designed with a home computer in mind, holes have been cut at the back to make any routing of cables easier. 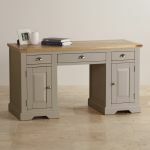 There are other items in the St Ives collection that would work with the desk in a study or home office. The bookcase, or even a dresser would give you all the storage you need in a chic and modern interior look.